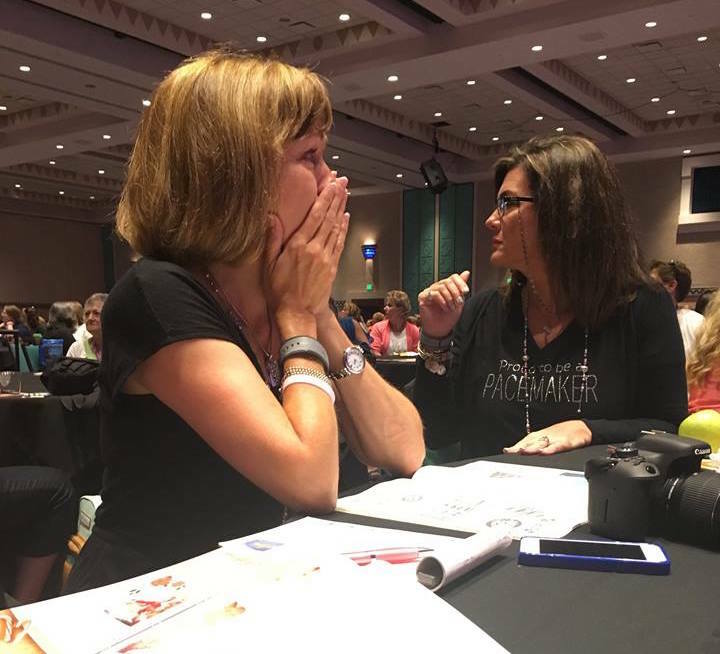 We don’t know about you, but thinking back to Convention last week gives us all the feels! 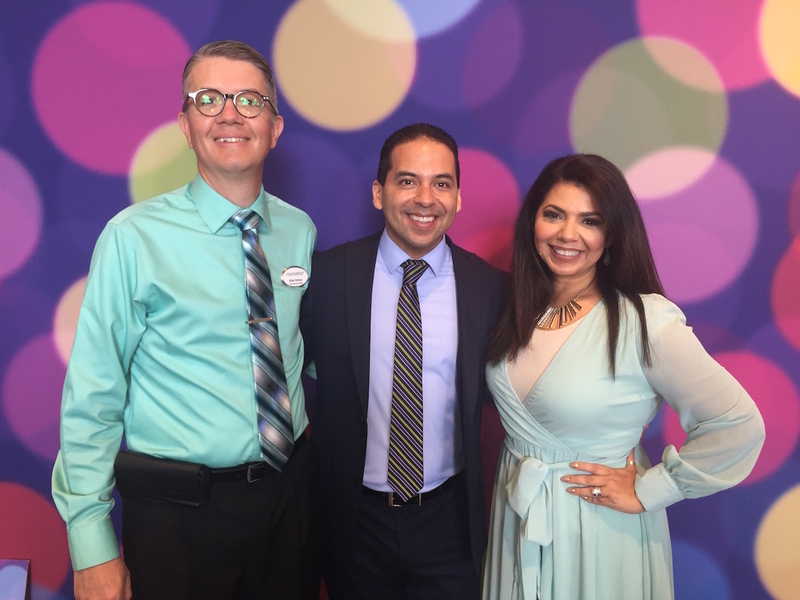 From the happiness of seeing dear friends and the excitement of revealing new products, to the amazement of seeing our Consultants’ generosity toward Operation Smile and the pride of watching our award recipients come on stage—Convention 2016 is sure to be a core memory we’ll revisit again and again! In fact, let’s revisit it right now! Join us as we take a train of thought to Convention Island! We got an inside look at how Jeanette’s creative mind works—well, sort of! General Session on Thursday morning took us inside the mind of Founder and CEO, Jeanette Lynton. 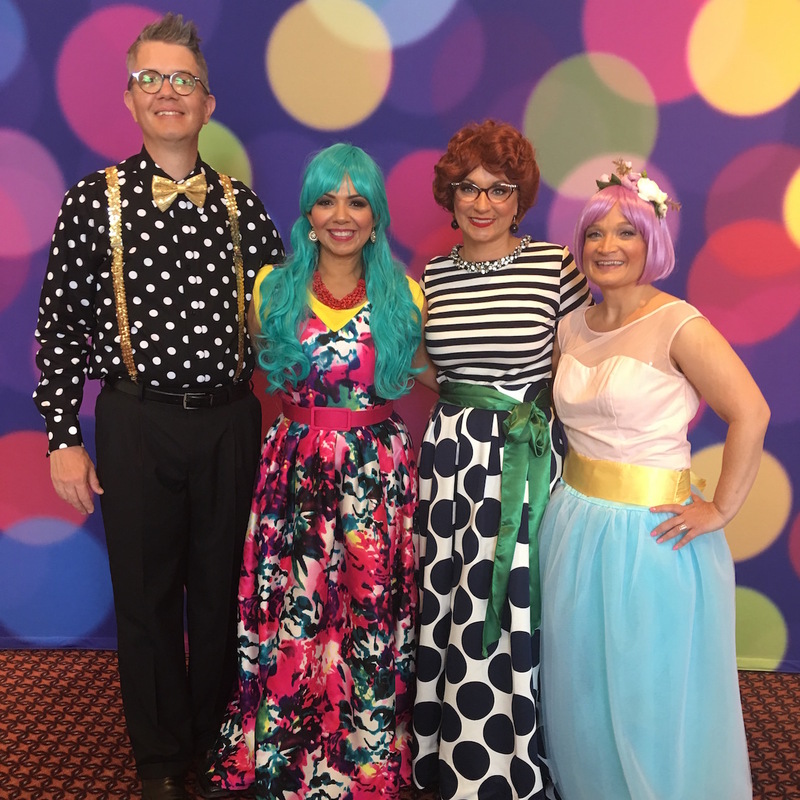 Inspired by the Disney movie Inside Out, characters named Adventure, Whimsy, Enchantment, and Basics, who run the control panel inside Jeanette’s head, helped her invent our brand new Fundamentals line! Additionally, on Saturday Consultants got to attend a Q&A with Jeanette, which, as always, made us laugh and cry. We sure love Jeanette! The Directors Dinner proved truly magical. 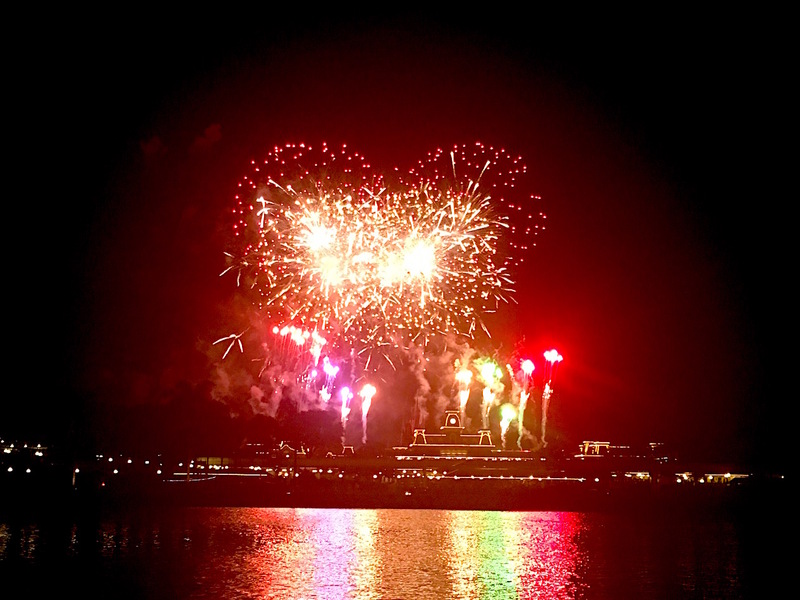 Directors enjoyed a delicious meal together, which included a great photo op with Mickey and Minnie, after which they boarded boats to take in the spectacular Disney firework show. We love spoiling our Directors—they work so hard and deserve some pampering! Our 25-year longevity Consultants got up close and personal with Jeanette. Consultants who have been with us for 25 years got a personal meeting with Jeanette. It was a beautiful moment, as they reminisced about the past and looked forward to the future. Sticky Boy found his love! If you’ve been following Sticky Boy’s Facebook account, it probably won’t surprise you that he met up with his one, his only, Sticky Girl! Lucky Consultants found her hanging out at Convention on the walls, tables, and other surfaces. Our Consultants raised A TON of money for Operation Smile. Consultants donated over $28,500 for Operation Smile in connection with Convention!!!!!! Can you believe it? It was a treat to hear from Dr. Ruben Ayala, Vice President of Medical Affairs at Operation Smile, share more about the vision and purpose of this great organization. 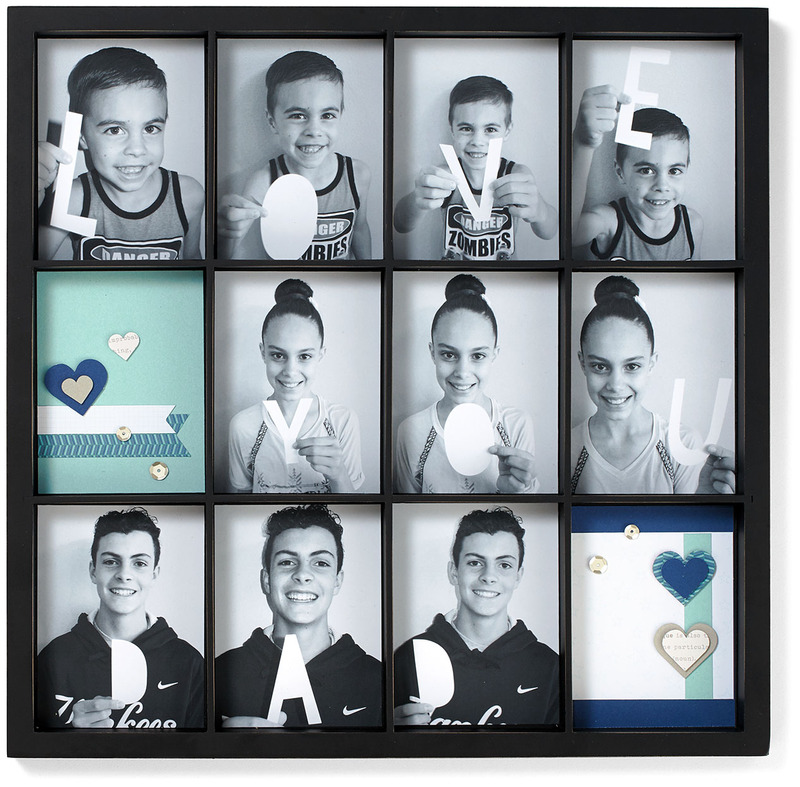 The highest selling bundle in our Operation Smile auction, created by the talented Michelle Synder, went for $1,500! We are so proud to be associated with such generous, selfless women. Did somebody say new products? We sure did! 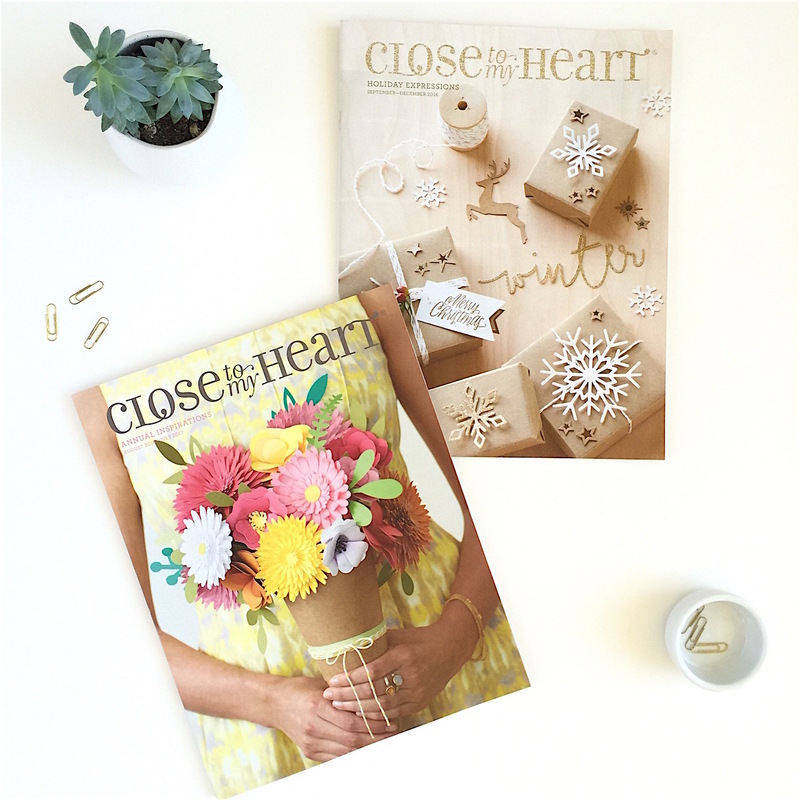 We gave all of our attendees a copy of both our new Annual Inspirations idea book AND our Holiday Expressions idea book. We also gave away heaps of brand new products, including brand new scrapbooking albums! But for now, these new items are Consultant-only—they’ll be available to everyone starting in August, and we can hardly wait for you to see what we’ve been working on for the past year! 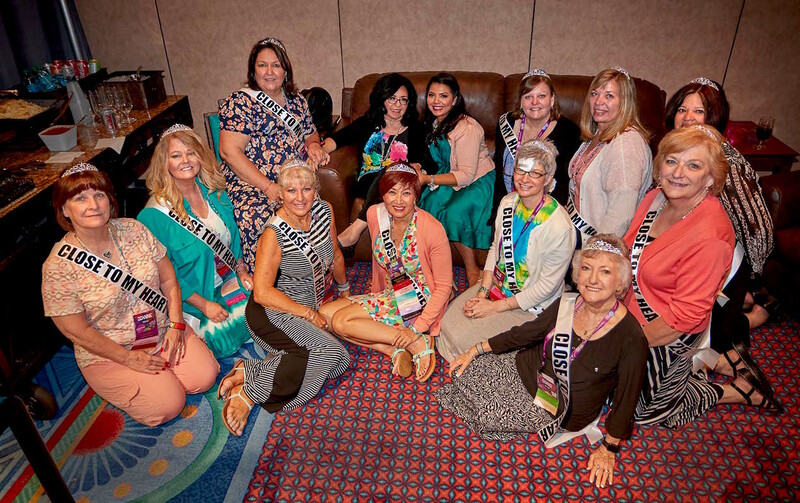 As we wrap up this trip down memory lane, we want to thank everyone who attended Convention, whether in person or virtually. And thank you to all of our Consultants—you inspire all we do, and we feel privileged to work with each of you. We hope to see you all at Convention 2017 in Salt Lake City next year! We want to see the Convention scrapbook layouts you create using our Magical paper packet. Share a picture of your Magical layout with Convention pictures on social media using the hashtag #magicalconvention for a chance to win one of our brand new My Legacy™ scrapbooking albums! Be sure to post your picture by July 25, because on July 28, we’ll randomly select five winners and announce them on the blog! 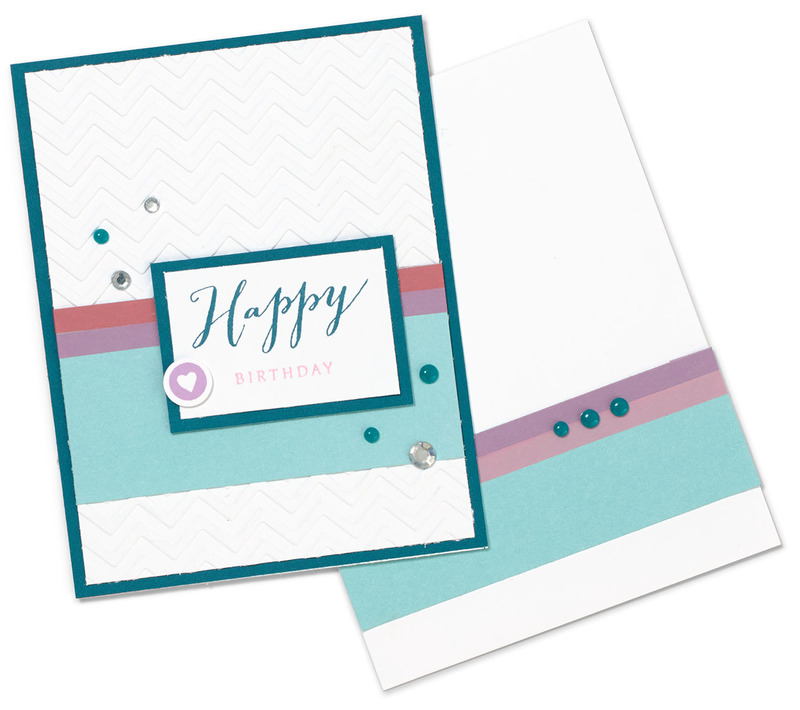 Looking for ways to switch up your cardmaking game? Well you’re in luck, because today we’ve got a couple tricks up our sleeves (or cards, in this instance!) to help you take things to the next level! For starters, try decorating your envelopes so they coordinate with your cards. It’s like creating your own stationery! 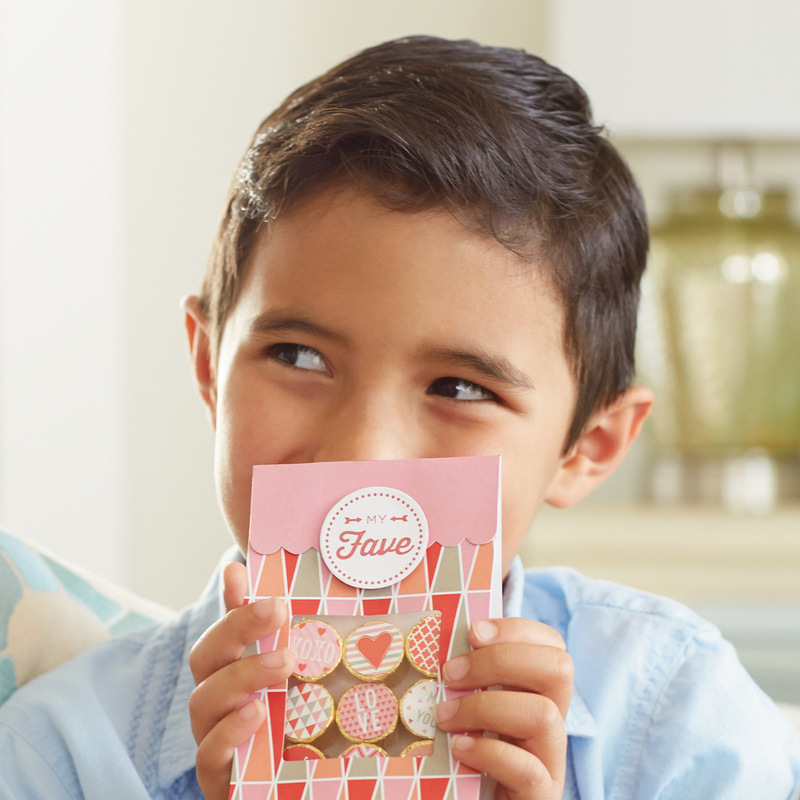 Getting a beautiful handmade card is already a breath of fresh air, so imagine how much you’ll brighten someone’s day by giving a card with a beautiful, matching envelope. You can also add stamping to your envelopes. This “Thinking of You” envelope communicates love and empathy before it’s even opened. 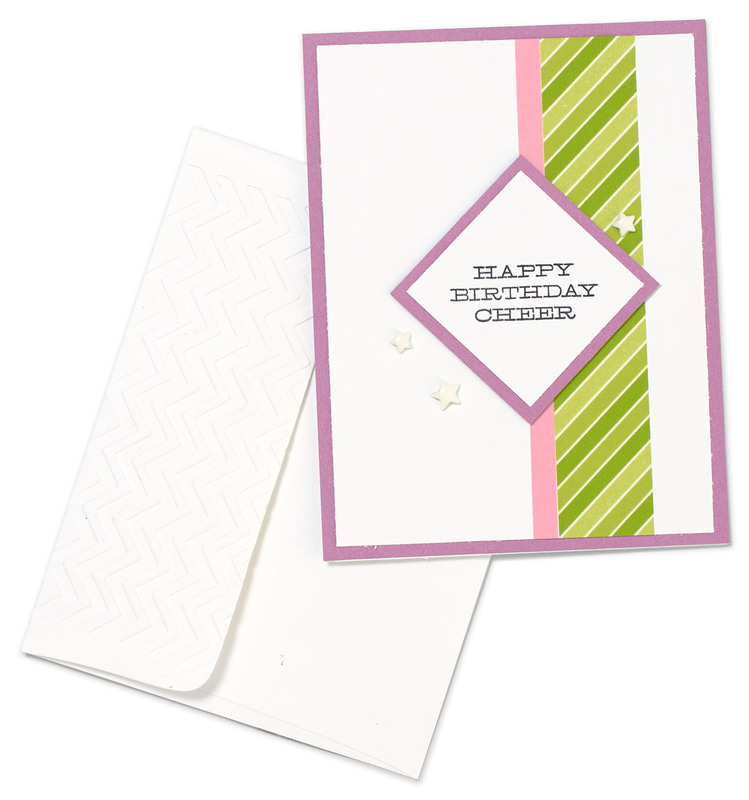 Embossing is another great way to make your cards extra special. It’s simple to do, but gives your cards a high-end look. And while you have your embossing machine out, here’s another fun idea to try—embossing the flaps of your envelopes! Remember to hurry though, because these bundles will only be available until Monday at 3:00 pm (MDT) or while supplies last! Papers from Penelope, Kaleidoscope, and our Fundamentals transform this ordinary box into something really special, as does the gold glitter paper—you can never go wrong with glitter! 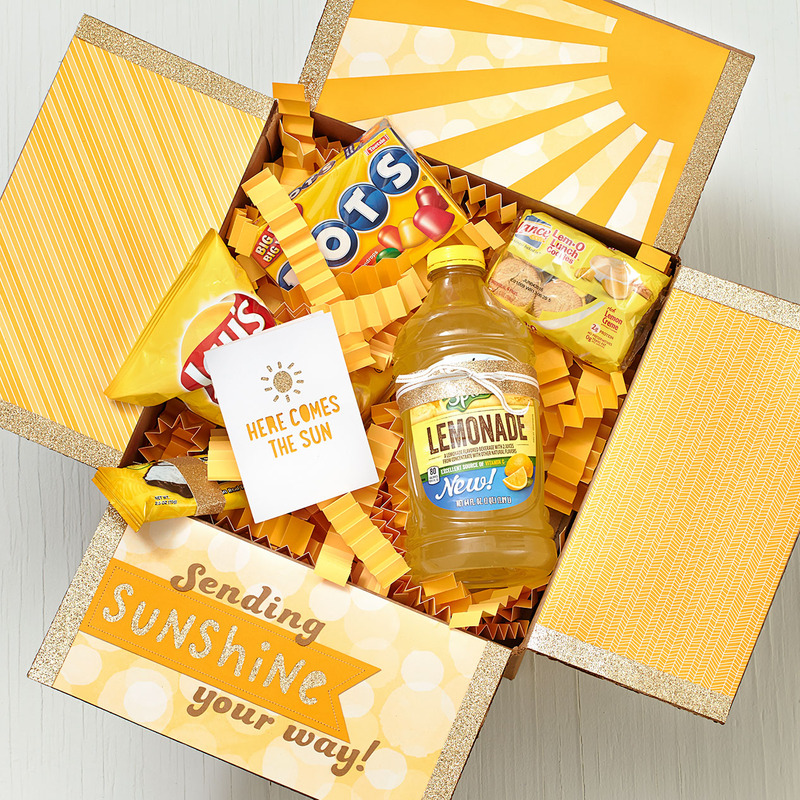 We’ve filled our sunshine box with all things bright and yellow—including fun accordion-folded strips of Honey cardstock as filler—but you could certainly put any goodies you’d like inside. 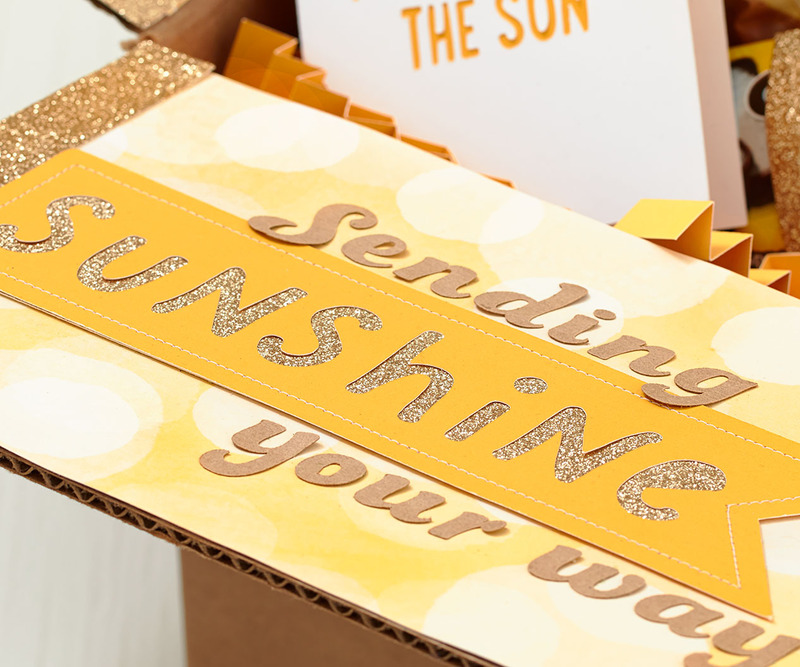 Thanks to our handy-dandy Cricut® collections, making this box is really easy. Simply follow the recipes below to cut your sentiment, sun, and card! 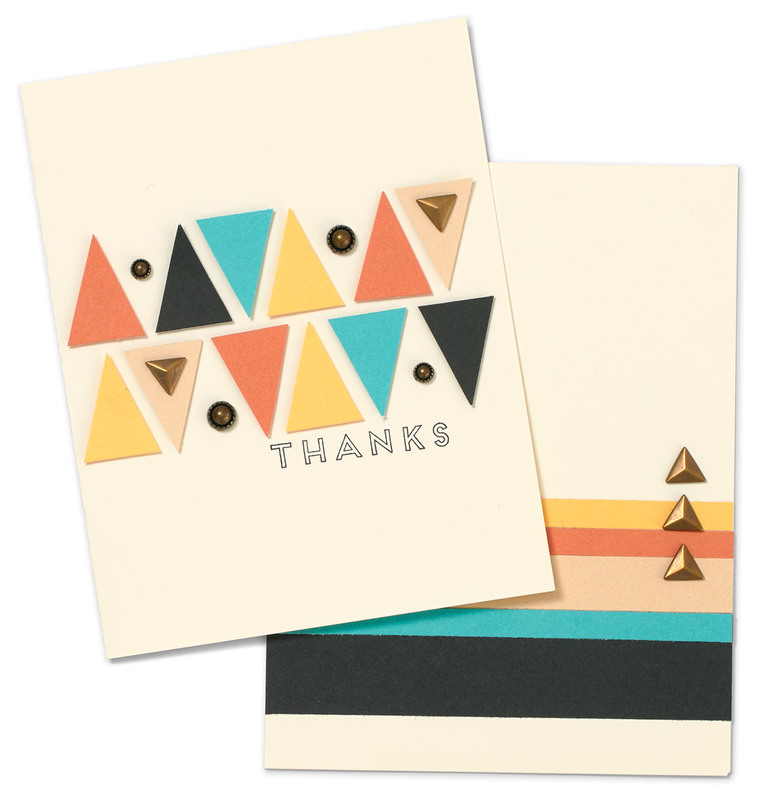 We used our Cricut® Artfully Sent collection to cut this lyrical card. 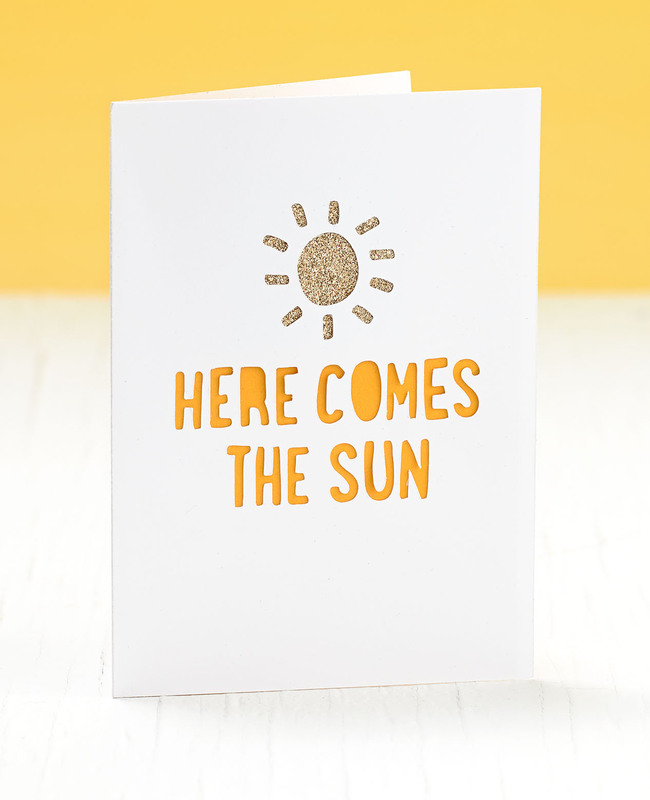 There’s nothing that brightens someone’s day quite like a handmade card with a handwritten message. What do you like to do to brighten someone’s day? Tell us in the comments below!